"The kinetic energy of an object is the extra energy which it possesses due to its motion". 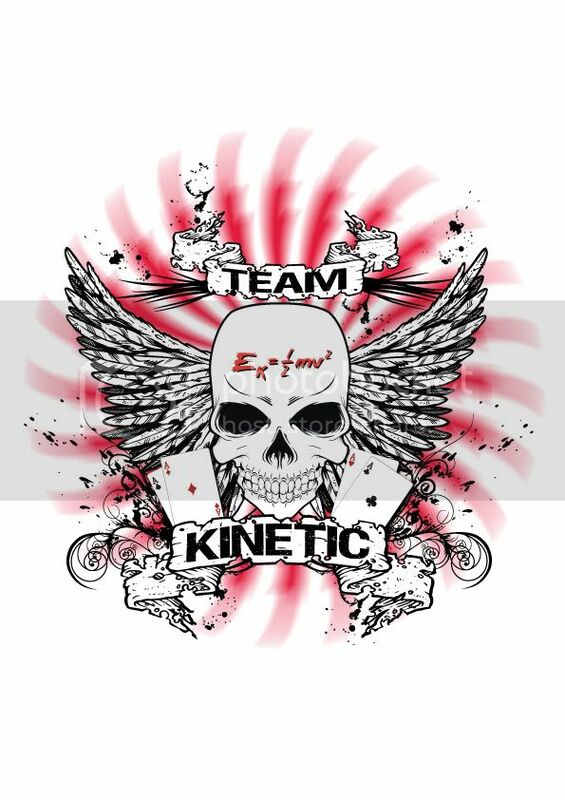 Team Kinetic is a group of experienced tourney players who can mix it with best of them and always up for a laugh. Ripping it up this year with the amazing Ego10 and GEO, matched with Draxxus Paint, the best out there. To play hard and fair and to lift trophys. Also to promote not only the sport of paintball and our Team as well as the DPC but also our great sponsors PLANET ECLIPSE, LIPS/DRAXXUS. Simply the best there is. All done with a smile. Thanks for your continued support Kinetic. The league just wouldn't be the same without you. All the best for 2009!